Preparations for the 28th annual Perry Dogwood and Hot Air Balloon Festival are currently underway! The 2016 festival is scheduled for Saturday, April 9th & Sunday, April 10th, 2016. We anticipate another successful Dogwood Festival in beautiful, historic Perry, Georgia. 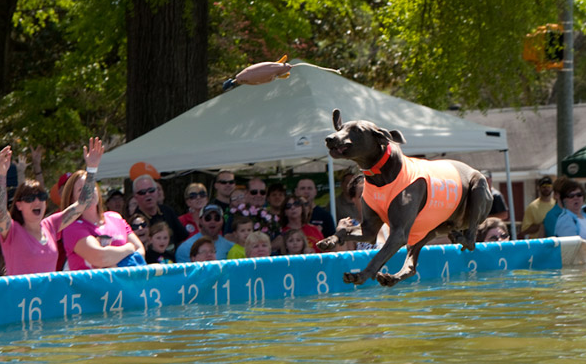 The Perry Dogwood Festival Arts & Crafts Show is a two day event beginning Saturday morning with craft makers, food vendors, a youth entertainment stage, dog dock diving competition, and kids zone opening at 10 am and closing at 6 pm. After the Arts & Crafts show, we encourage you to come out to the Georgia National Fairgrounds for our Hot Air Balloon Rally. It will be a relaxing, family friendly atmosphere. Just bring blankets or lawn chairs & a picnic dinner and enjoy live entertainment, a kid’s zone, wonderful food vendors, and a beautiful Hot Air Balloon Glow. The Arts & Crafts Show will re-open Sunday at Noon and close at 5 pm. On Saturday, April 9th at the beautiful Georgia National Fairgrounds 15 Hot Air Balloons will create unmatched beauty and majestic ballooning entertainment! Open to the public at 5 pm, bring the whole family for an afternoon of Hot Air Balloon tethered rides, kids zone, food vendors, and live music on the entertainment stage! 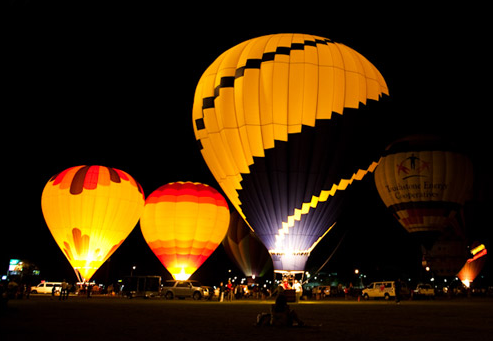 Don’t forget your blankets and lawn chairs so you can spread out and bask in the glow of the Hot Air Balloons at dusk. Adults are only $5.00 and children under 6 are free! Tethered balloon rides are subject to wind and weather restrictions. Tethered rides are $10, and children under 12 years of age or under 42” must be accompanied by an adult. Children under the age of 18 must have a parent present to sign the liability waiver. Quantities are limited. $10 wristband for unlimited play by Kathy’s Rock in the Kid’s Zone 5 pm to DARK. If you are in the area, this is a wonderful opportunity to get closed to a hot air balloon. Balloon Terms- A tethered balloon ride is when the balloon is tied to the ground with three or four very strong ropes to keep the hot air balloon from flying away. This allows us to lift and “fly” a large group of people of all ages at a specific location. This is an excellent opportunity for someone that might be scared of heights to feel the sensation of a balloon ride and the way the hot air balloon lifts off of the ground.